Mr. de Soto is President of the Institute for Liberty and Democracy (ILD), headquartered in Lima, Peru and considered by The Economist as one of the two most important think tanks in the world.Time magazine chose him as one of the five leading Latin American innovators of the century in its special May 1999 issue "Leaders for the New Millennium", and included him among the 100 most influential people in the world in 2004. 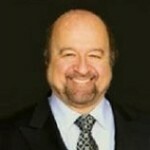 Mr. de Soto has served as an economist for the General Agreement on Tariffs and Trade, as President of the Executive Committee of the Copper Exporting Countries Organization (CIPEC), as CEO of Universal Engineering Corporation, as a principal of the Swiss Bank Corporation Consultant Group, and as a governor of Peru’s Central Reserve Bank. Currently, Mr. de Soto, together with his colleagues at ILD, is focused on designing and implementing capital formation programs to empower the poor in Africa, Asia, Latin America, the Middle East, and former Soviet Nations.